The completely unique Slamboree are coming to London this Halloween. Combining electronic music with live instruments, visuals and theatrical performers, they create a truly one-of-a-kind live performance. Think Cirque du Soleil meets electronic rave whilst playing live instruments. 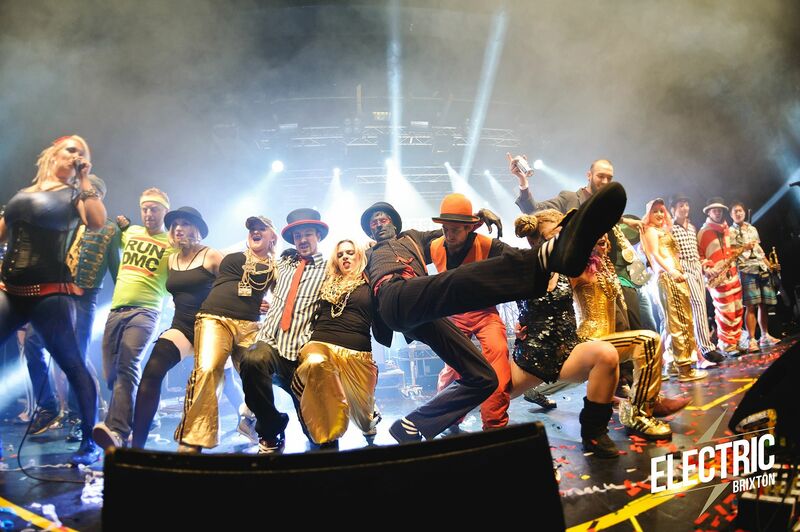 Since forming in early 2011, Slamboree have garnered a lot of attention, playing at festivals like Glastonbury, Beautiful Days and Boomtown Fair. Their Youtube channel has been viewed over half a million times and they were awarded best live act 2014 by Breakspoll awards. Their show is brought together by synths and electronic beats and adapted using live instruments, fronted with the vocals of Kathika Rabbit. Joining them on stage will be: Too Many T’s, Age of Glass, Captain Hotknives and Wolfie Razzmatazz, all offering different vibes to the already vibrant performances. With their overt visual performances – containing pyrotechnics! – there has never been a better time to see them, than on Halloween. Tickets are on sale for £15 via the 02 Forum website.